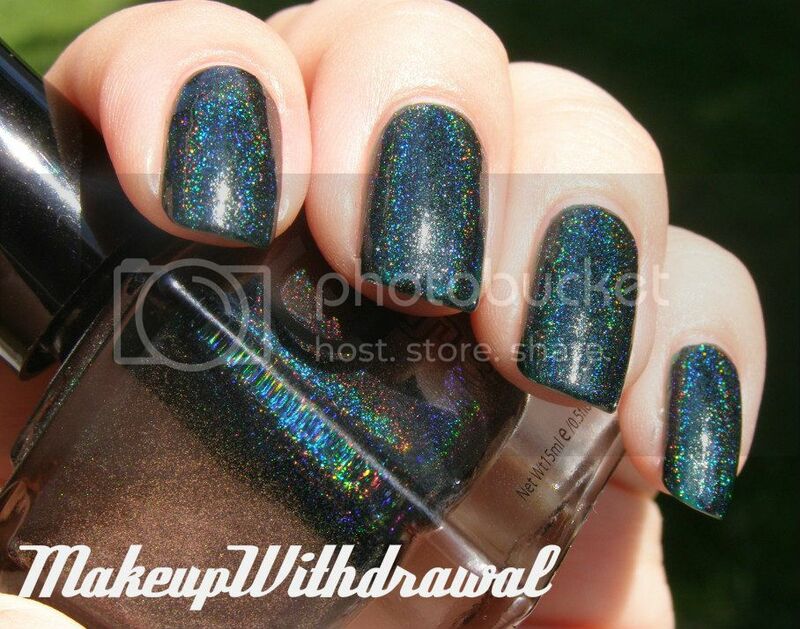 One of the few Glitter Gal holos left in my stash that I have not shown you folks. The reason being that I had difficulty taking pictures of it. This is the third time that I've put it on, taken pictures and when I reviewed all the images, thought that they were absolutely rubbish. I want to love Lizard Belly. 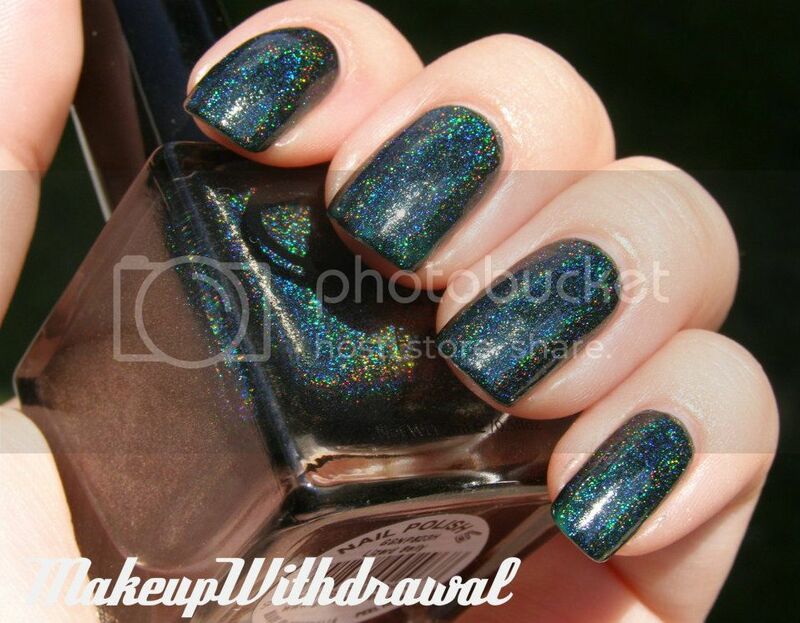 A sultry dark green holo. But I can't. First of all, the holographic nature is greatly diminished on the nails compared to in the bottle. It's not its fault, honestly. With darker bases, holo particles have to work that much harder. Too much silver holo and it ends up looking grey. Actually, I think that happens a bit with Lizard Belly. The base is too opaque and the submerged holo particles look a bit... grainy? That's the only way I can put it. Product featured was sent to me as a prize for winning a contest. For additional information, please refer to my Disclosure Policy.